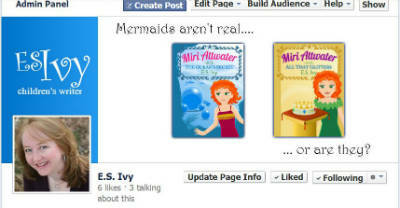 In this tutorial, we’re going to put your author logo on a Facebook page cover photo. You should have your facebook cover photo Pixlr template open in Pixlrcom. If you don’t, go to Pixlr tutorial: how to make a Facebook page cover photo for your author page in Pixlr with a Pixlr template and then Pixlr tutorial: How to make an author Facebook page cover photo: background. You will also need your author logo open in your Pixlr browser window. The directions for that are in the post Pixlr tutorial: add text to image: How to make an author logo for an author Facebook page cover photo. 1. When we paste the image into our facebook cover photo, we’re going to want to only paste the letters, not a white background. So we need to remove the background layer. To remove the background layer, we need to unlock it first. Go over to Layers on the right, find the background layer and double click on the little lock to unlock it. The background of your logo will now change to a checkerboard pattern, which means you have a transparent background. Layer 0 will also disappear from your layers box. 3. 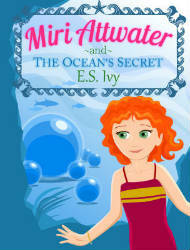 Your author logo is saved as a Pixlr image with the file extensions .pxd. This keeps all the layers separate. But, when we paste the logo onto our facebook cover photo, we’re going to want to be able to move it around as a unit. So we need to flatten the image, which means that we’re going to merge all the layers into one layer. Think of it as gluing all the layers together. 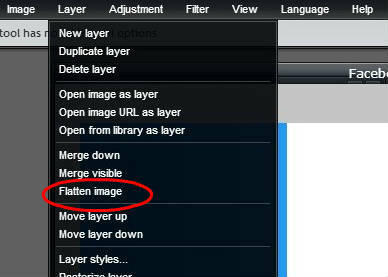 Go up to Layers > Flatten Image. 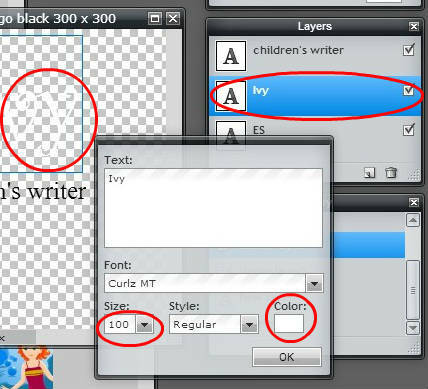 You’ll notice that now in the Layers box you only have one layer. 4. Select all, copy, and paste it onto your facebook page cover photo. If you’ve forgotten how to do this, refer back to Pixlr Tutorial: add photo to image: add book covers to your author Facebook page cover photo. 5. Now you’re in your logo layer, you can select it and move it around in your Facebook page cover photo until you get it to where you want it. Mine now looks like this! Pretty good. But now that I see it, I think it would look better if the logo was a little smaller. You can shrink just this one layer, but the problem is, since we flattened the image, the type isn’t text anymore, it’s an image of text. So if I shrink or enlarge it I’m going to lose some quality. I also think I’d like to make it white. 6. So, while I’m in the Facebook page cover photo, I’m going to use Ctrl + Z to undo placing the image of the logo. 7. Now I select the logo image box, and I’m going to undo all the way back, (just keep hitting Ctrl + Z) until I undo the merge layers and get my three layers back. 8. To work on each bit of text, I’m going to have to work in each individual layer. I’ll start with the Ivy first, since it’s the biggest part. I select that layer over in the layers box. Then I select the text tool. 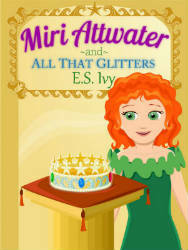 I place it on top of the Ivy text and click so that I get my text editing box. Now I change my font size 100 and change my color to white. Click okay. From the example of Lindsay Buroker’s facebook page, I decided to add some tempting text to describe the series. My Facebook page cover photo now looks like this! 11. This would be a good time to save your Facebook page cover photo as a .pxd file in case you ever want to come back and modify it. 13. Before we save the image to use on our Facebook page, we need to get rid of the gray placeholder box for the profile photo. 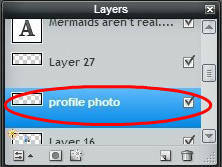 In the Layers box, find the layer called Profile photo. (I know it’s called that because that’s what I named it in my Facebook page cover photo template.) You can tell you’ve got the right layer, because when you click on the check mark to turn it off, the gray box will disappear. 16. Now all we have to do is upload it to our Facebook page. Here’s what it will look like on the Facebook page with the profile photo in place.